Fish were rising to mayflies. 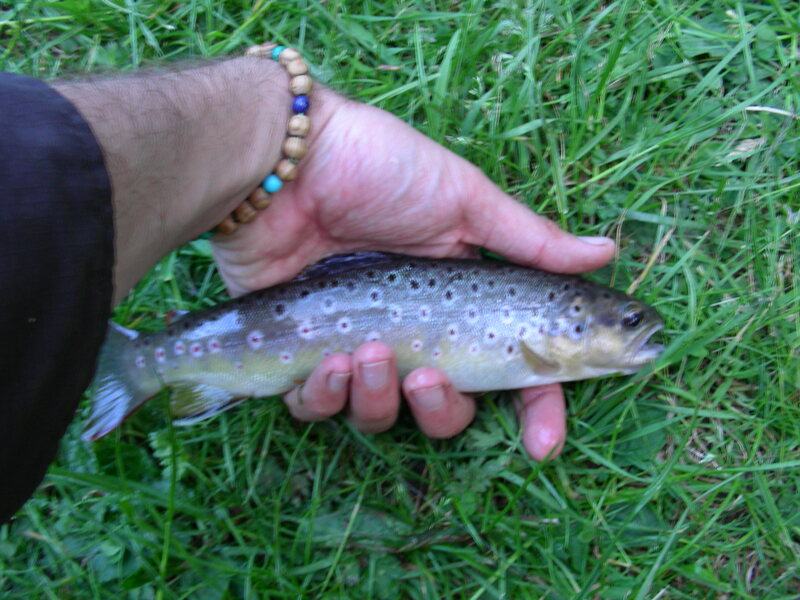 Three wild brown trout came to hand largest at 9 inches, one on Iron Blue Dun, two on Hares Ear Nymph. In the dusk I was joined by a tree creeper and a fallow deer. The fish were more abundant close to the top of the beat next to the weir pool. The beat is part of the Wye and Usk Foundation and can be booked here.